Located near ONEOK Field in Downtown Tulsa, Camp II exists to meet a growing need for quality workspace for startup founders and their teams. 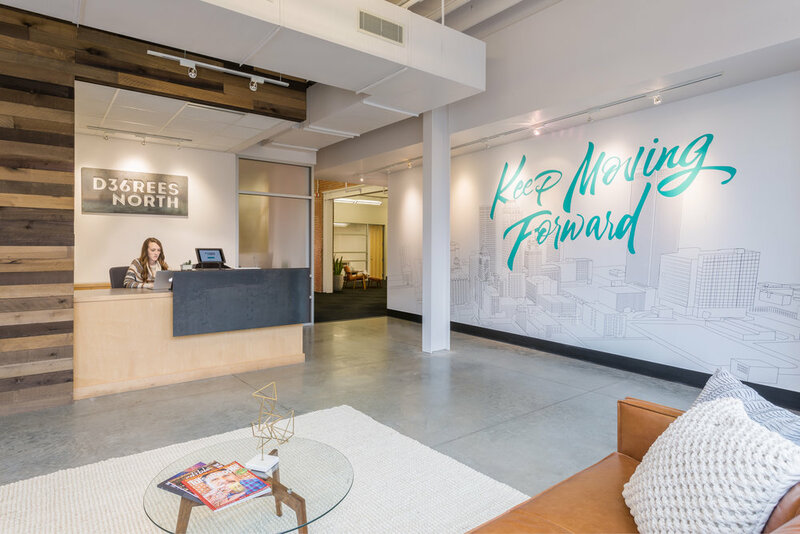 The 9,000 sqft office space has 12 fully-furnished offices, two conference rooms, a kitchen and a 36 Degrees North team member onsite during business hours. The space is primarily designed for teams of three to ten who desire to be under the same roof as other innovative Tulsa companies. Camp II members also get full access to 36 Degrees North's main location, known as Basecamp. Tours can be scheduled Monday-Friday, 8:00am-5:00pm. Thank you! We will contact you soon to set up your tour. If you're interested in renting desk or office space at Camp II, please fill out this form. Who should we thank for recommending you to 36°N? Thank you! We have received your application and will be in contact soon.